Buohai horses are native to the Northeastern part of the Shandong Province, China, near the Buohai Sea and the Yellow River. They have been found in that area for at least 2700 years, but are originally from Mongolia. In 1962 the Chinese government established a cross-breeding program designed to improve the local stock. Attempts with riding horses were unsuccessful and created animals too light for heavy agricultural work. Later Ardennes and Soviet Heavy Draft blood was introduced and the resulting animals was classified as the Buohai breed in China. In 1974 a breed association was formed and the first animals were registered as pureblood under the Buohai name. 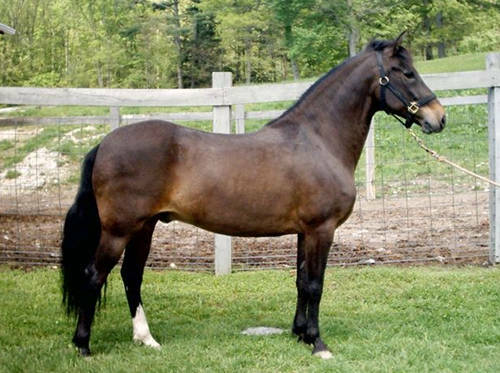 There is lot of variety in type due to the addition of various bloodlines, however the association is attempting to correct this and generate a type specific to this breed. Bophai horses are around height 14.3 – 15 hands high. Their head is clean-cut with a straight profile. Their neck is medium in length and well-connected. They have a deep chest, a flat back, dry legs with well-defined joints, strong solid hooves. They are either chestnut or bay colored. Can survive under poor conditions and are used for transportation and as a pack animal.